The story is sort of like this: Cordelia fails to”like” her Dad’s latest social media update and totally pays the price. But the joke’s on her dad when he finds out that just because people “like” him, it don’t mean they actually like him! Written exactly 400 years before Facebook, William Shakespeare completely fails to predict the rise of “Twinstabook” but no worries, King Lear is the classic cautionary tale for fathers and daughters, everywhere, highlighting the pitfalls of poor inter-generational communication and putting too much emphasis on a simple emoticon. Multi award-winning actor, Antony Sher, returns to the Royal Shakespeare Company for just three weeks for their 2018 production of King Lear. Stratford-Upon-Avon Ticket and hotel packes are available for a VERY sort time! A proud, but ageing King decides to divide his kingdom amongst his three daughters to live out his last days without the burden of power, but with the same authority and respect he was shown as sovereign. However, his vanity leads him to misjudge his children’s loyalty and he soon finds himself stripped of all the wealth and power he once had. Cast out into the wilderness, Lear left pondering his mistakes of a life which have brought him to this point. The production is directed by Artistic Director Gregory Doran. 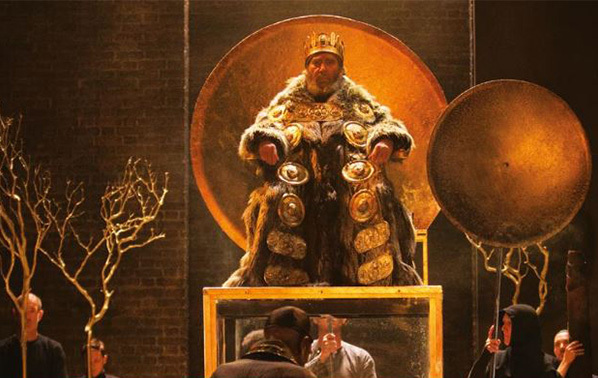 Included in your break will be tickets for King Lear at the Royal Shakespeare Theatre and overnight accommodation at a Stratford-upon-Avon hotel. The nearest train station to The Royal Shakespeare Theatre is Stratford-upon-Avon mainline. Optional discounted rail travel can be included in your King Lear short break. Copyright © 2019 Theatre Breaks. All rights reserved.